I could not be more excited about this series of events. 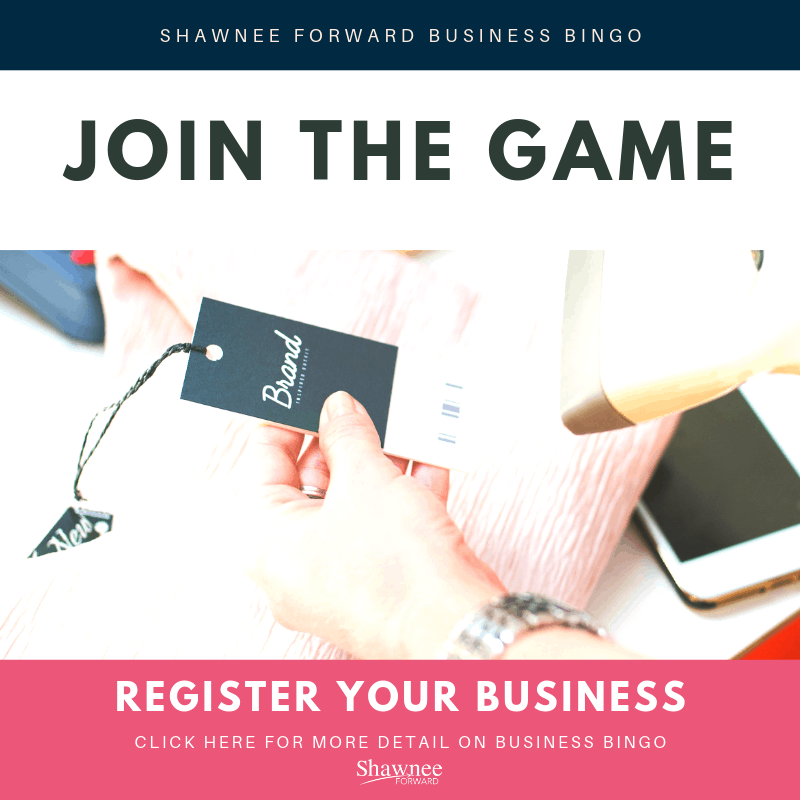 We are inviting Shawnee Forward members to participate in our month-long Business Bingo. We have partnered with Visit Shawnee to put the wheels onto a series of events designed to connect more people with our participating businesses. Business Bingo starts off with a Block Party in front of Theopolis Social Club on Thursday, May 30, 2019 starting at 5:00pm. We are encouraging businesses to setup their marketing tent and hang with us that night. This will be the community’s first chance to pickup their Bingo Card. We want to put on a street party, dance, and kick-off summer in style. Each participating business will be able to stamp their space on the Bingo Cards and have total autonomy regarding what someone must do to get their Bingo stamp. It could be sitting through a service pitch, purchasing a product, posting a picture while at the business, joining their mailing list, leaving a Google or Facebook review, etc. You set the threshold. The game ends at BingoFest which is being hosted at The Garage Burger on July 2nd at 5:00pm. The Bingo cards are designed so that no one can get a Bingo unless they attend BingoFest. That evening we will collect all the cards from those that have made a Bingo and draw a Grand Prize winner. It is going to be one big party. Please consider joining us in putting together a game that our entire community can participate in. C’mon ya’ll, let’s have a blast this summer. Contact Marketing Director Jeremy Davidson at jdavidson@shawneeforward.com or (405) 273-6092 for more detail or to get your business or organization involved in BingoFest.